Fantastic entry level Castle style design built for value. Great design for a smaller sized yard. Perfect for families with younger children. 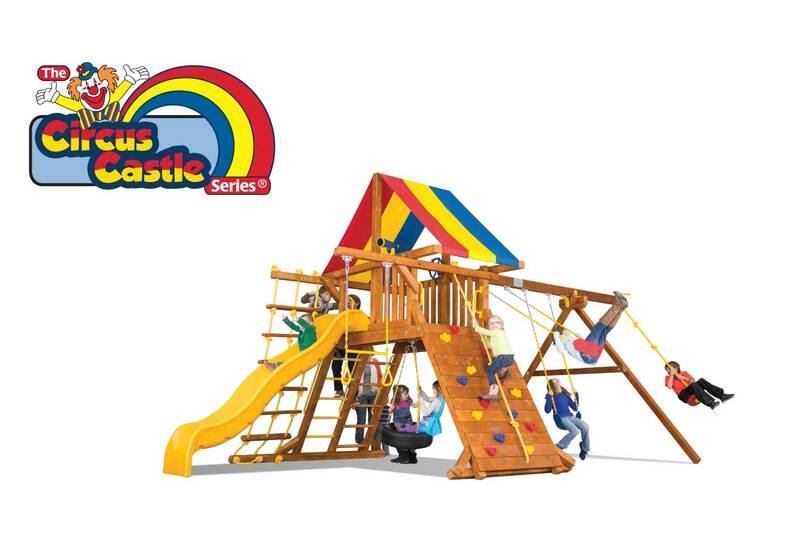 The Circus Castle can add on Monkey Bars, Penthouses & Spiral Slides as your children grow. Overall Weight 805 lbs. 840 lbs. 890 lbs.